The formal planting and attention to detail in the layout has placed Drummond Gardens in the list of finest gardens in Europe. When you visit, don’t forget to explore the kitchen garden and glasshouses that provide much of the raw materials for the formal areas. You may even have the chance to purchase some of the surplus produce. The entrance to the gardens is only a five minute drive from the centre of Crieff. Once you turn off the public road and begin the long drive up the beech-lined avenue it can be difficult to prepare yourself for the extraordinary introduction to the gardens that awaits. 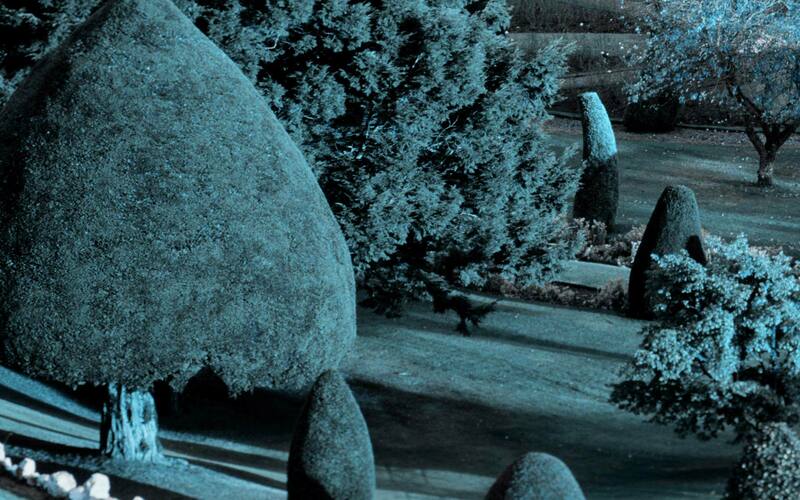 We once heard a little girl say “Mummy, is this Alice in Wonderland’s garden?” Her mum replied “I suppose it could be”. Was she right? 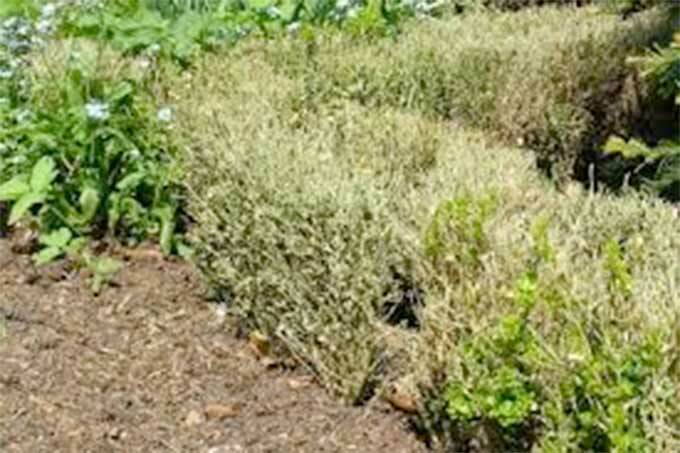 The finely trimmed topiary shrubs and hedges create a ‘wonder-landscape’ in which it could be easy to imagine that there is a tea party taking place around the next corner. It’s not easy today to find time to relax and unwind. Spend an hour or so in our gardens and you will have an opportunity to savour peace, beauty and a spirit of place that we feel sure will help to produce a feeling of inner calm. and watch the video to begin your own flight over the grounds. 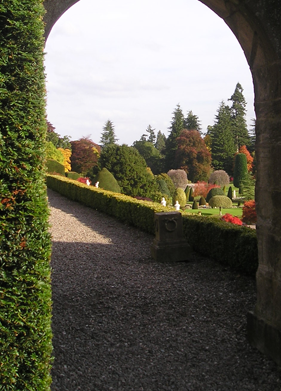 Enjoy one of the finest gardens in Scotland. 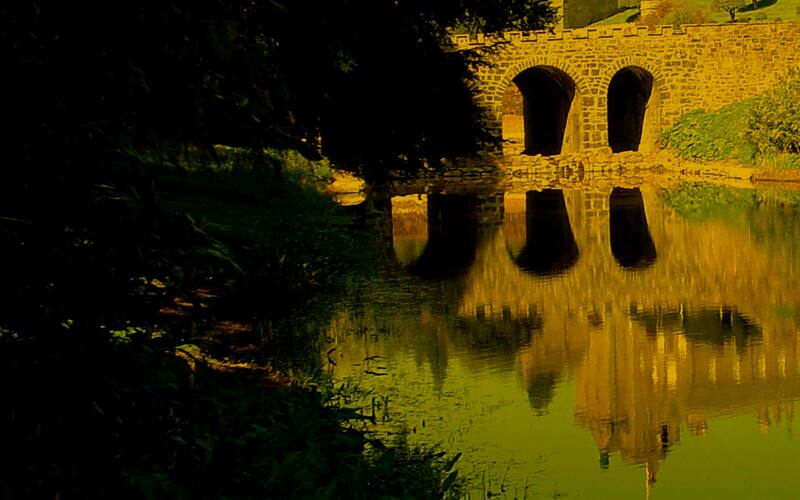 Experience the elegance and splendour of the Castle Gardens, soaring like a bird. 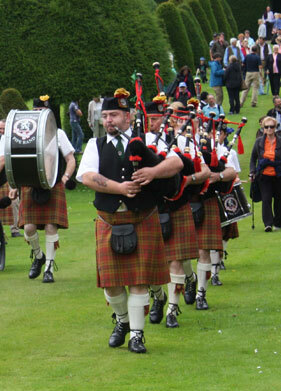 Sunday August 5th from 1.00pmThe gardens will be filled with different things to see and do on this special day. Thinking of coming along. Use the map to find out where we are and there are some helpful tips to find us. Including our address a Sat Nav reference and a telephone number. 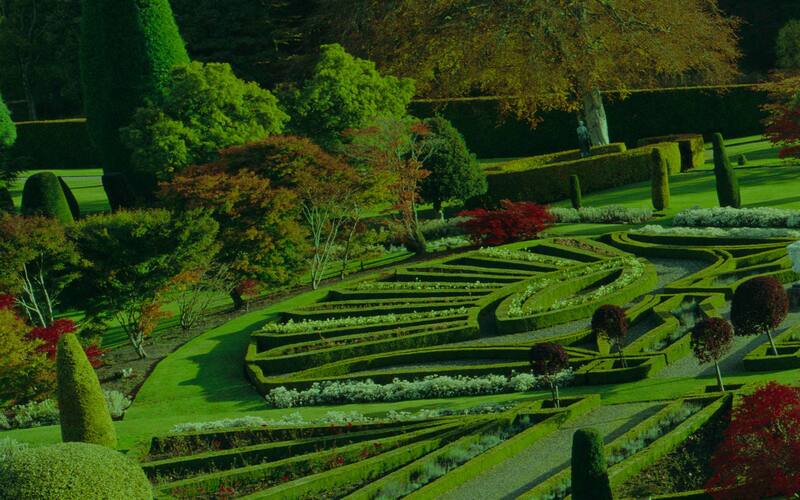 Drummond Castle Gardens is one of Europe’s and Scotland’s most important and impressive formal gardens. Located in Perthshire near Crieff, it dates back to the 17th Century. 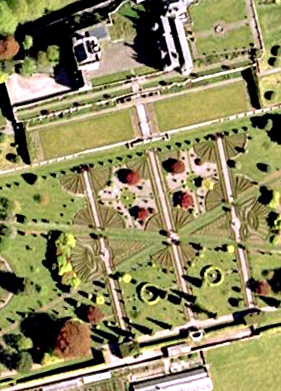 The gardens were redesigned and terraced in the 19th Century. The formal gardens that you see today were replanted in the 1950s but preserve many of the original features, the ancient yew hedges and the remaining beech tree planted by Queen Victoria, commemorating her visit in 1842. 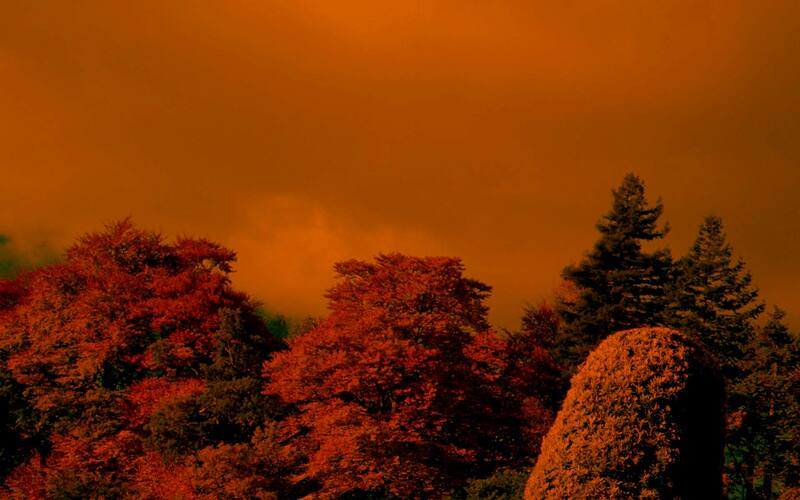 The Gardens have featured in many films, TV programmes and adverts, most notably in the United Artist feature film Rob Roy and the Outlander series. Visitors are welcome to visit the gardens, although the castle remains closed to the public. The dates shown on these articles relate to the dates of publication. If the article refers to an event, then the date shown DOES NOT refer to the date that the event takes place. Read the individual articles or contact the Castle if you wish to find out more about the event.